“Desperate Times and Measures” A recap of season 2 episode 12 by your Aussie blogging lass! There is only a brief musical interlude to begin this episode. The music is slow, but still in a hopeful major key. 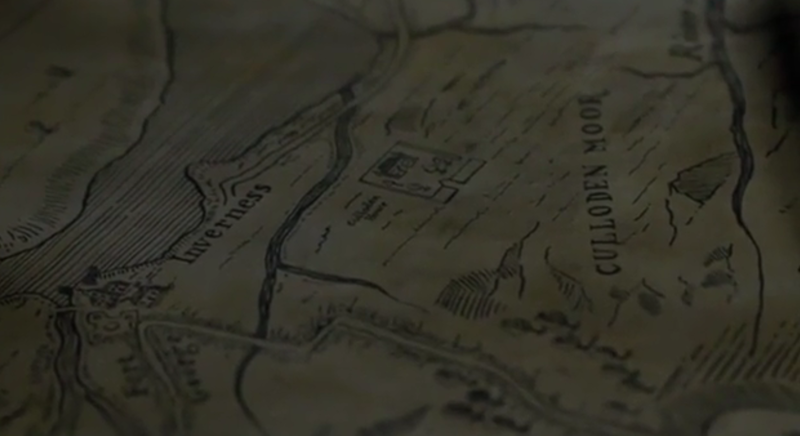 The accompanying images are less hopeful however, with a map bearing the dreaded words “Culloden Moor” and two hands seen moving the models of the British and Jacobite armies slowly and deliberately towards each other. 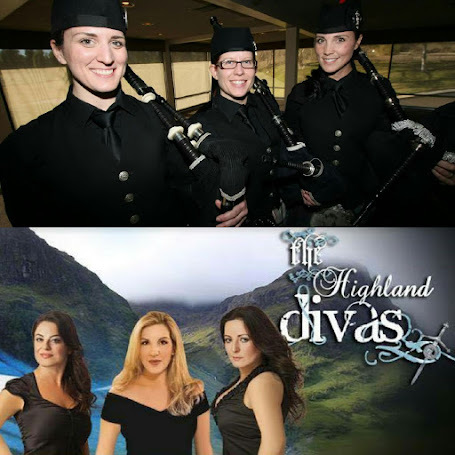 As the episode begins, the bedraggled highlander army is wending its way through, as Claire tells an exhausted Fergus, “the outskirts of Inverness.” This army, however, is an echo of the one that enjoyed victories at both Prestonpans and Falkirk and marched triumphantly into England. It has been 5 months since the order to retreat and as time passed, so has the food. The weather too has been brutal and, as the camera pans around the weary company, we are left in no doubt as to the dire situation. Whether it is just the power of suggestion, clever make up and costuming, some sort of extreme boot camp diet or just excellent acting, everyone looks thinner. This army is, ironically, already “dead on its feet.” Claire’s voiceover tells us that their worst nightmare is coming true and that she feels completely helpless. As far as mood setters go, the opening scene is a bleak one. As they try and find a place to rest, Ross and Rupert express their frustrations. Ross tries to help Rupert, much to the other man’s annoyance. Now sporting an eye patch any pirate would be proud of, Rupert asks what use an army is if it runs from a fight, openly wondering what “poor Angus” would say. Ross replies that it would probably be much the same as “poor Kincaid” and that it was time the army turned and showed its face. Ross’ comment earns a grunt of agreement from Rupert, as he swigs on a flask before passing it to Ross to drink. It is perhaps the uneasy beginnings of a new friendship. Having each lost their closest friend, Rupert and Ross begin to accept the other as a new companion. Meanwhile, Claire leads a barely awake Fergus inside the camp’s only building, with Jamie, Dougal and Murtagh close behind. Jamie acknowledges everyone’s exhaustion, but sends Dougal and a riding party in search of the whereabouts British army. Dougal agrees to go, but states that the horses must be fed first, to which Jamie tells him to feed them whatever is left. It is another reminder of how desperate things have become and further emphasised by Dougal’s parting comment, that the men’s strength is dwindling on a bannock a day. Murtagh too, is sent off on horseback, in search of the Prince, who is resting, no doubt far more comfortably, in Inverness. A war council will soon be called and Murtagh remarks that they know where that will lead, as Culloden Moor is but a few miles east. Jamie agrees that it wasn’t from lack of trying, but tells Claire not to wave the white flag just yet. He seems to be the only one who hasn’t yet given up, adding that there is still time to avoid the fight that they cannot win, if he can make the Prince see reason. 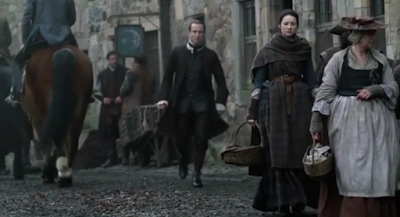 Jamie states the need to see to the men, while a slightly teary Claire says that she must go into Inverness to replenish her medical supplies. Despite the odds stacked firmly against them, they are still trying. It is, after all, all that they can do. 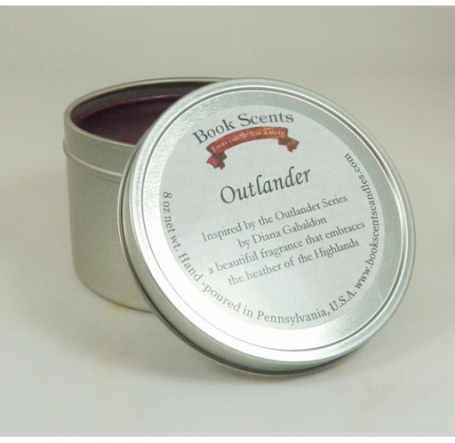 Her basket over her arm, Claire walks into an Inverness apothecary, in time to hear the order of the current customer - ginger, rosemary and arsenic. The woman also orders a bottle of laudanum, apparently her second for the week. 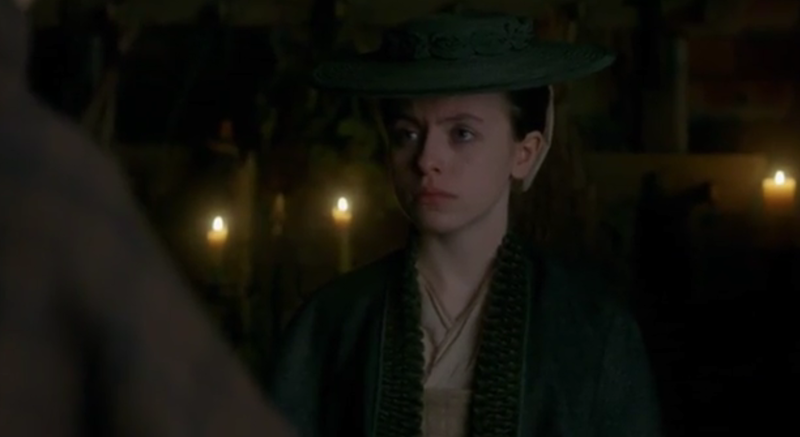 Claire starts in recognition of the voice: it is Mary Hawkins. She greets the young woman in astonishment, asking what she is doing there. But this time, there is no affectionate greeting in response. 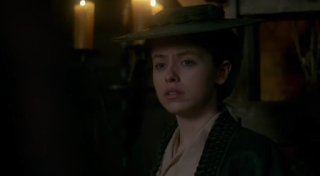 This Mary is cold and distant, telling Claire she assumes that she has come with the Jacobite army and that rumour has it that there will be fighting soon. 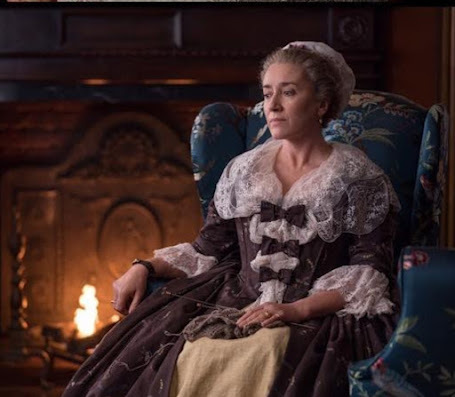 Claire confirms this, but asks again why Mary is also in Inverness, having been sent home after the “incident with the Duke”. Mary replies that she had been contacted by Alex Randall, who had gained a position helping out the overseer of a large English estate. The two are to be married, Mary says, and is immediately incredulous at Claire’s stammered congratulations. Alex has told her of Claire’s influence in the ending of their relationship in Paris, and Mary’s voice rises in anger, saying that Claire had merely pretended to be her friend. Claire tries to defend herself, saying that Alex is in very poor health, but is interrupted by the pharmacist, who has returned with the bottle of laudanum. As Mary goes to leave, Claire apologises for the pain she caused the both of them, saying that the situation was complicated and asking how Alex is. A still frosty Mary tells Claire that Alex will be fine. Their landlady is advising her on the proper medicines and she herself is taking care of Alex now. Claire is concerned by this, and asks if she can stop by to see Alex, in order to apologise to him as well. 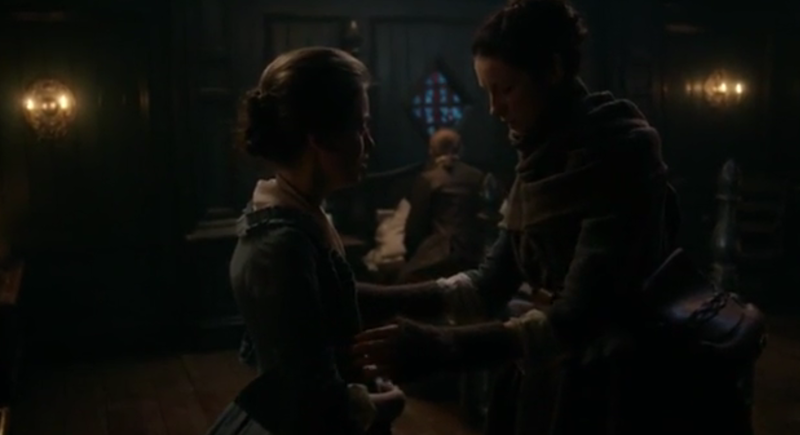 Mary agrees to this and tells Claire where they are living. Still, she has not smiled. 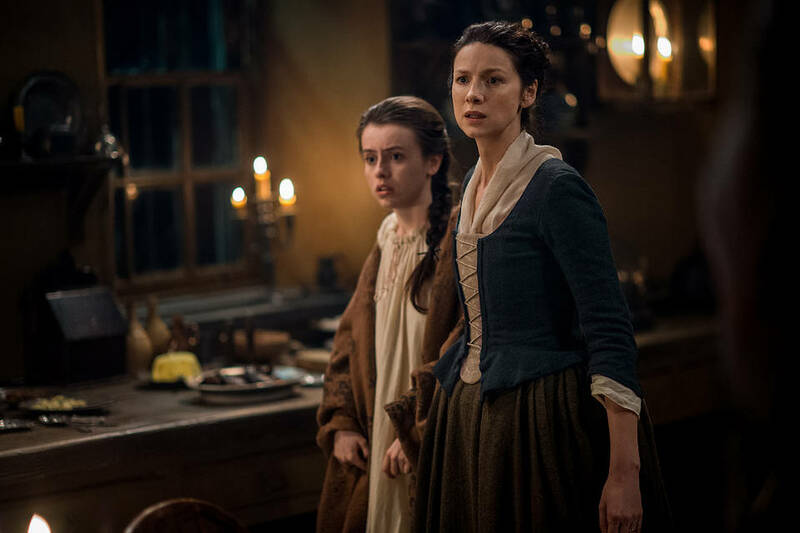 It is sad to see this friendship on such frosty terms, but it is beautiful acting on the part of both Rosie Day and Caitriona Balfe. Back at the camp, the war council has begun. The Prince, immaculately dressed in frilly white shirt and red kilt (with a lot of knee on show) is sipping a liqueur by the fire as an equally well dressed Quartermaster O’Sullivan commands the meeting. He has studied the situation, he says and the choice is clear. The best spot for the battle is Culloden Moor. Jamie, with mud-streaked face, voices his objection. The spot is perfect, but for the British, not the Jacobites. Lord Murray agrees, as Jamie goes on to explain the moor’s terrain, adding that without sufficient calvary, the lines will be smashed to bits. 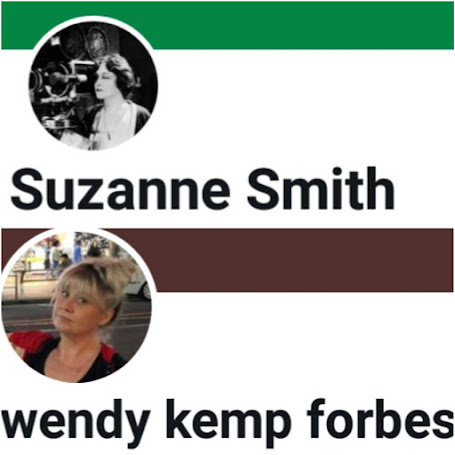 Then the in-fighting begins. The commanders of Clan MacDonald and Clan Cameron say that while the Frasers may fail, their clans will get the job done. Why fight at all, asks Jamie, to snorts from the other men. 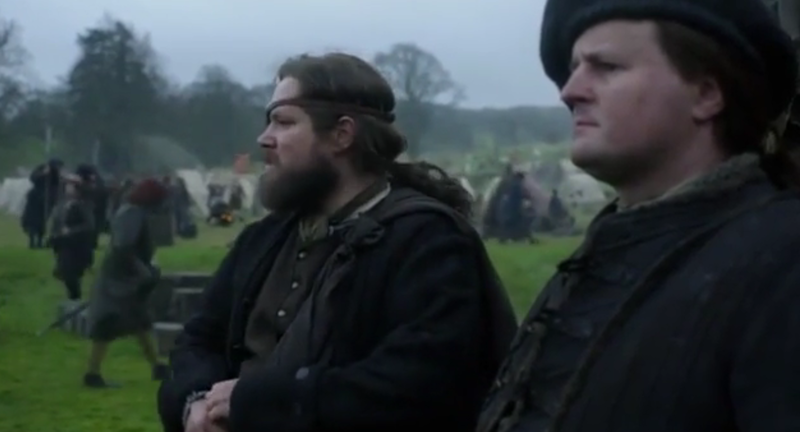 Jamie appeals directly to Charles, asking the prince to walk the camp himself and inspect the army. The men are too exhausted to fight a major battle. O’Sullivan brands this opinion coward’s talk and an angry Jamie turns to confront him, to be stopped by the Prince’s call of “Enough.” Jamie changes tack, speaking of the French gold, supposedly on its way from the continent. With it, they can buy much needed food and weapons, splitting the army into smaller units in the meantime, to make it difficult for the British army to follow. Kneeling in front of the Prince, Jamie says that when the men are rested and have what they need, then they can choose the better ground to fight upon and defeat the enemy once and for all. It is a plea, but an impassioned one and proof that Jamie is still thinking strategically, doing everything he can to change history. Charles reaches out a hand to briefly touch Jamie’s face, acknowledging that Jamie has been his most loyal companion and friend. But it soon becomes clear that while this may indeed have been so, it is no longer the case. Charles’ gaze flits back to O’Sullivan. He stands and states that he is not some frightened hare to be run down by a pack of British hounds. He is a man and a soldier, weary of retreat. Charles states that the men will rest and then they will march to Culloden. 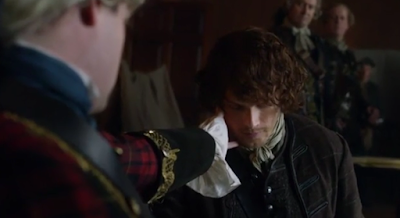 Jamie bows his head in despair as Charles continues, saying that God will provide for them. Murray is less convinced adding, “May He have mercy on us all.” Jamie’s head snaps back up and we see him thinking. Perhaps, at the eleventh hour, he has a new ally. Claire arrives at McGilvrey’s Boarding House, the sound of racking coughing immediately apparent. She follows the sound and enters the room as Mary is trying to give Alex some arsenic tea. 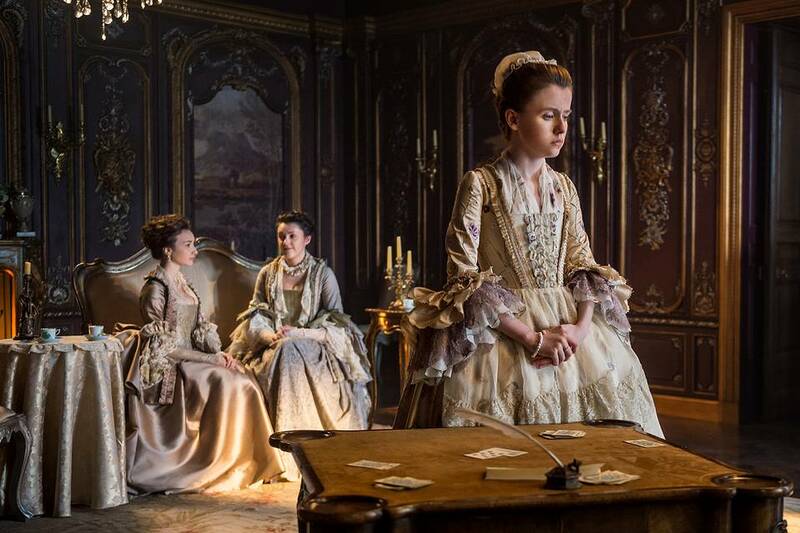 Claire intervenes, telling the young woman that although it may bring colour to Alex’s cheeks, arsenic will not help the cough. She helps Alex to a sitting position and we get our first glimpse of him. Claire’s shocked look is well founded. 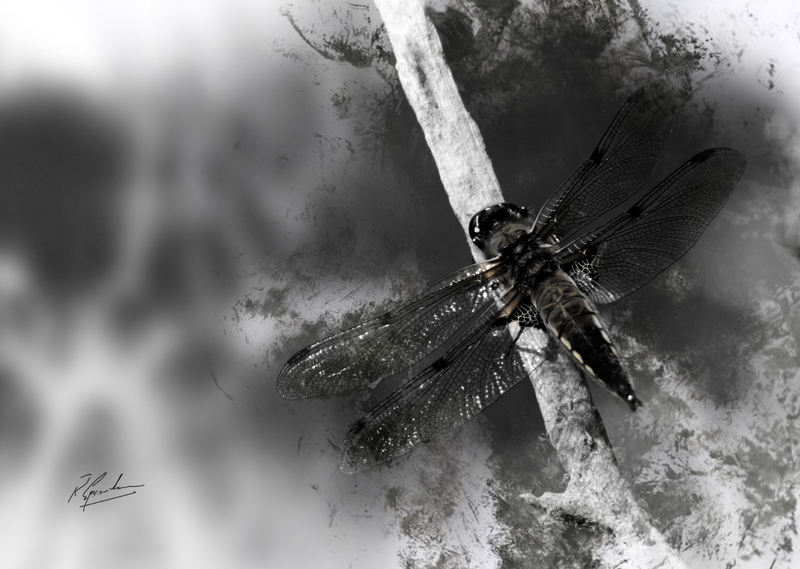 Alex holds a bloodstained cloth to his lips and his ashen face is covered in a sheen of sweat. 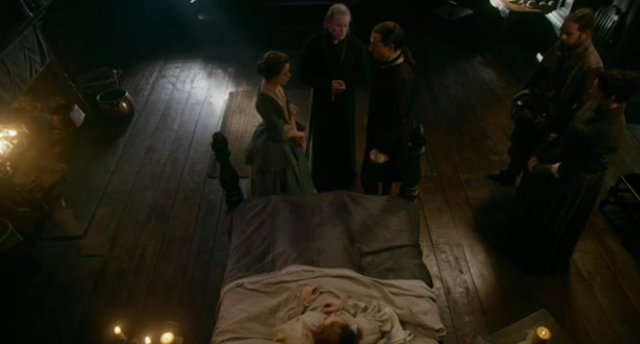 Even in this state though, he is impeccably polite, telling Claire how good it is to see her. 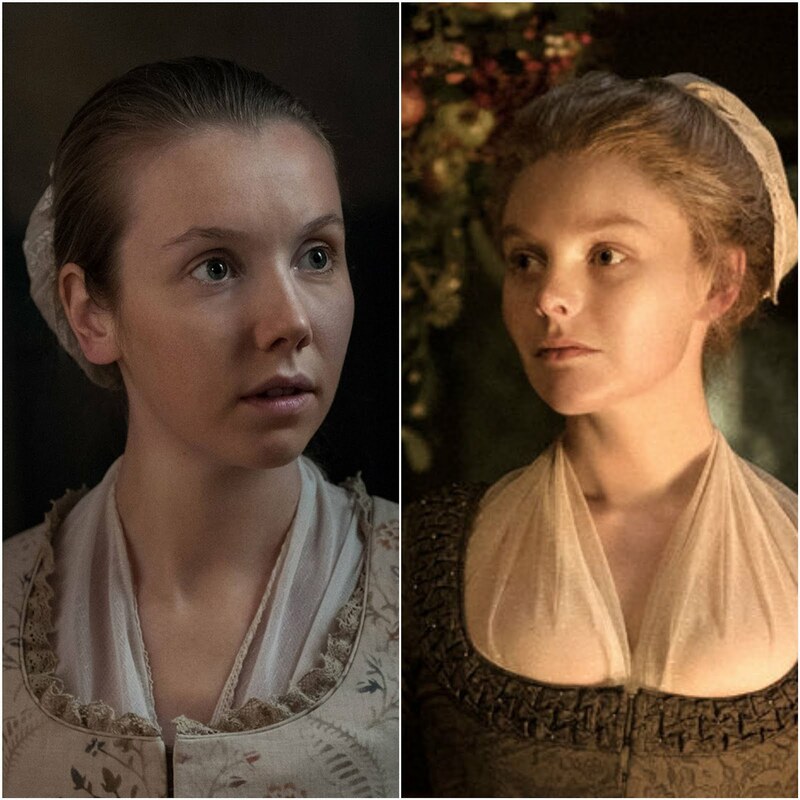 Both Mary and Claire implore him not to speak and Claire stands to prepare a poultice that will help ease the muscles in his chest and back. Claire spins around. It can only be one person and sure enough, Jonathan Wolverton Randall, clad in civilian attire, steps into the room. Black Jack and Claire’s eyes lock as Alex continues to speak, expressing his surprise at both his brother’s presence and appearance. With a brief touch of Mary’s hand, Jack explains that he has been granted leave to see Alex and that he didn’t want to attract attention by coming in uniform. He sits on the bed and strokes his brother’s face. It is a strangely unnerving intimate gesture and Claire is struggling. She starts for the door, but Mary stops her. Mary sings Randall’s praises, saying that she isn’t sure what would have become of them without “John”. Alex has been unable to work, she explains and they would have been destitute if his brother hadn’t paid all of their bills. Not taking her eyes off her fiance struggling to breathe in the bed, Mary asks Claire when Alex will be able to work again. As gently as she can, Claire tells her it is time for Mary to make reparations with her family so that she will have somewhere to go. Alex cannot be cured and will not be going back to work. The rest of the prognosis is clear, but not spoken aloud. Mary’s stutter returns, her distress obvious. Alex must be cured, she says, her hands briefly touching her stomach. Claire realises what this must mean. She asks Mary if she is pregnant and if Alex knows. Yes, Mary answers, adding that Alex’s brother also knows. 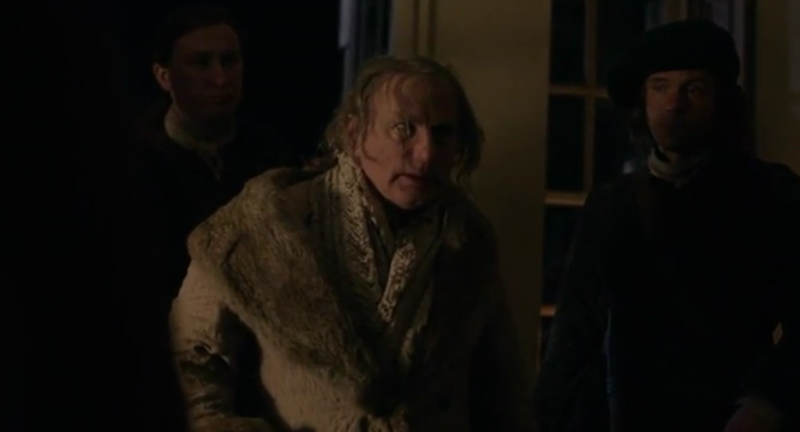 The aforementioned “John” strides over at this point and Claire involuntarily pulls the younger woman towards her. But Alex is asking for Mary and the young woman goes to him at once, leaving Randall and Claire eye to eye once more. Claire answer unnerves him, but he recovers quickly, saying that she can at least ease his pain. This statement makes the physician in Claire stop walking. Reluctantly, she turns back to face him, as Randall adds that he is not asking for himself, but for Alex, Mary and their unborn child. It is not clear what is the most unnerving for Claire: being in close proximity to Black Jack once again, or the fact that he seems to actually be showing some compassion. Not one to trust the latter possibility, Claire hisses that if she helps Alex, she wants something in exchange - knowledge as to the whereabouts of Cumberland’s army. With his familiar sneer, Randall comments on Claire’s bargaining over an innocent man’s suffering, adding that “Madam Fraser” impresses him. In return, Claire addresses him with a biting “Captain Randall” adding that the woman she is now is different to the woman she once was. It is another unspoken implication, but we can certainly assume that Randall himself is part of the cause of this change. 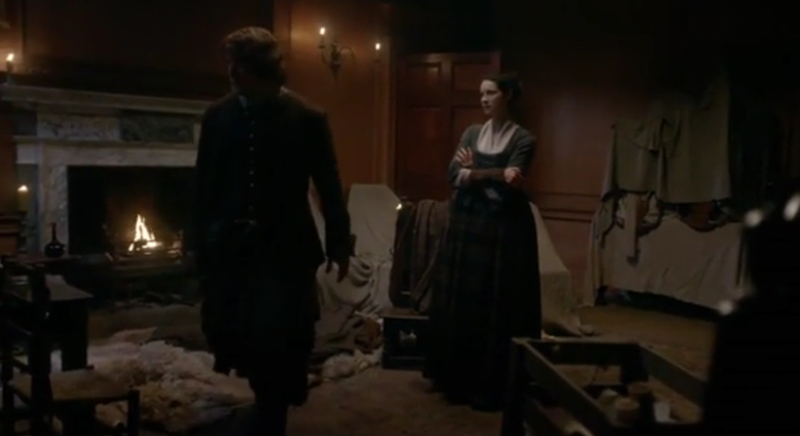 Claire relays the encounter to Jamie, who strikes out in fury at the furniture covered in dust cloths. Will they ever be able to rid themselves of “that man”, he asks? But Claire is placating. Maybe this time, Randall’s presence will be good for them. Randall has told her that Cumberland’s army is 12 miles away at Nairn, with a birthday celebration planned for 2 nights’ time. The planning begins again, but not without confirmation that Randall has indeed spoken the truth. Claire tells Jamie that she wants to return to the boarding house and tend Alex, saying that she owes Mary that much. But Jamie is reluctant. What if Alex dies in her care and Randall attempts to harm her? But Claire has thought of that: saying that Murtagh can accompany her. Night has fallen and a carriage draws up outside. A man is helped out and the misshapen legs leave us in no doubt as to who has appeared. 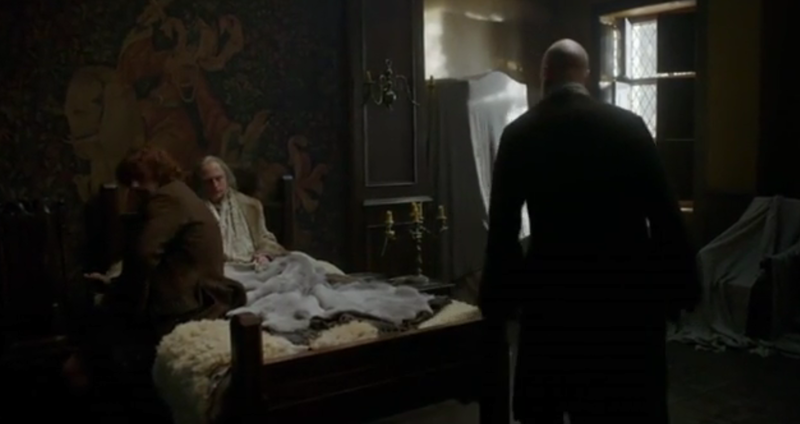 Rupert has been watching from the window and wakes Murtagh at once - what, he asks, is the MacKenzie doing there? 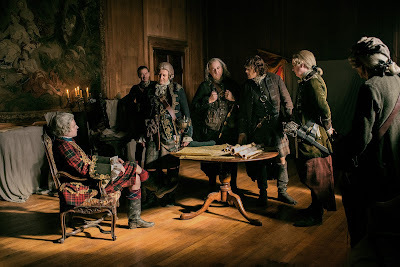 Murtagh answers “If I knew, I would.” Rupert strides over to open the door, and Ross, Murtagh and Rupert watch uncomfortably as a visibly weakened Colum struggles inside. The seeds of Colum’s decline were sown back in episode 8. Then, Colum was noticeably older and slower, but in just a few months, things have taken a drastic turn for the worse. Colum cannot walk without assistance, leaning heavily on the coachman with one hand and his cane with the other. His breathing is laboured, his face grimacing with pain. More unspoken looks pass between the 3 men. Colum greets them, saying that it is good to see some familiar faces. He expresses sorrow over Angus’ death, remarking to Rupert that he had always thought that when Angus fell, Rupert would fall with him. The depth of Rupert’s grief is then expressed in just three words: “So did I.” Colum demands three things: a bed to rest in, his brother and his nephew. A short time later, Claire is examining Colum, with Jamie standing nearby. Colum tells Claire she is wasting her time. The healer who replaced her at Leoch has been looking more “dour”, but Colum comments that he has been dying for years and that it is a wearisome process whose conclusion he welcomes. Jamie asks if that is why he has come: to hasten the process along. Colum asks where Dougal is, complimenting Jamie when he learns the reason for his brother’s absence from camp - giving Dougal enough authority to keep him content, but not enough to allow him to grab for more. Jamie smiles, adding that it is as if Colum has read his mind. 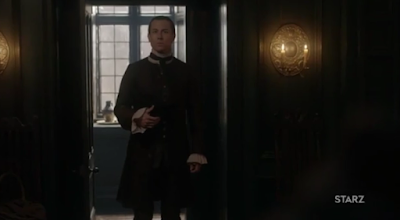 Colum dismisses him, saying that while they wait for Dougal’s return he wishes to speak to Claire in private. Jamie leaves, saying that he will be close by if needed. Alone, Colum commends Claire on her marriage to Jamie, admitting that he had been wrong as to his earlier assessment of their union. It is one of the pleasures of dying, he says, to be able to admit his mistakes. The other is that it is easier to ask for favours, asking for relief from the pain. Claire offers to get him laudanum, but he refuses, as it merely dulls the senses. He wants something more final. Once again, the implication is clear. Claire asks if suicide is not a sin. “What’s one more sin to a sinner?” Colum replies. The conversation then turns to Geillis Duncan and how he would welcome the same quick death that she had given to Arthur Duncan. 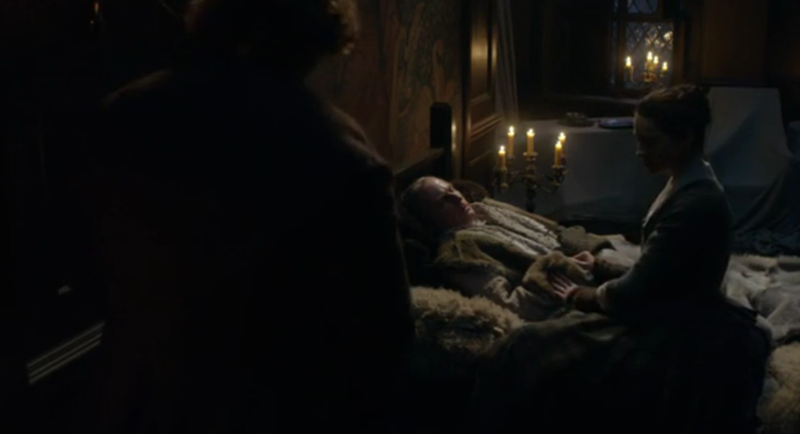 Claire comments that that death, while quick, would have been agonising. Colum says that he will leave the details to Claire and trust that she will give him a kinder death. 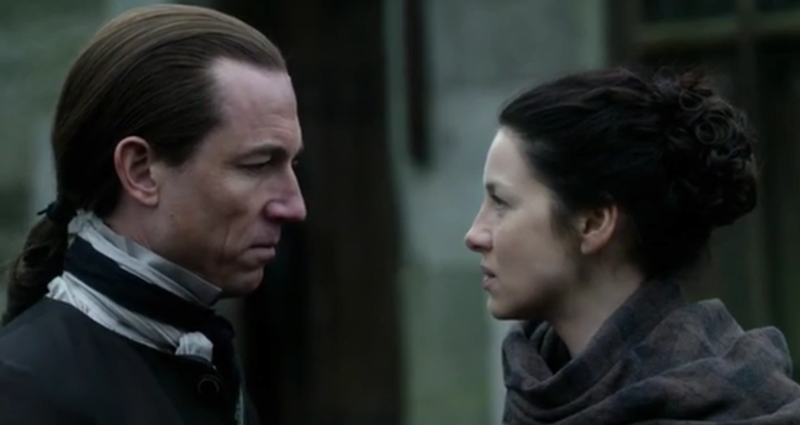 He speaks harshly of Geillis, prompting Claire to admonish him. Colum remarks that memories remain rawer than wounds, but provides Claire with some news: Geillis’ child had lived, as she was not burned until after it was delivered. The boy is with a childless MacKenzie couple. Claire asks if Dougal knows, as he has not mentioned the child at all. Colum replies that the boy will just be one more mistake that Dougal has to live with. 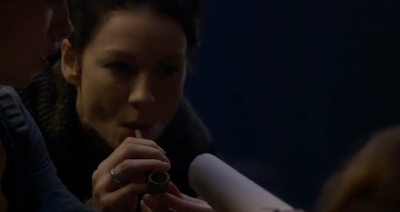 Claire goes to her medicines, returning with a vial that she places in Colum’s hands. It is yellow jasmine, she tells him, and its effect will be just like drifting off into a deep sleep. He smiles at her tearfully, saying that for what it’s worth, Claire has his deepest gratitude. Gently, she pulls the blanket over his hand, hiding the bottle from view. Her look is of affectionate pity and understanding. This relationship, at least, is one that has achieved some resolution, albeit in its final moments. As Colum is promised a final ease from his suffering, Alex is still in agony. Randall is holding Alex’s head, arguing with Claire as to her choice of treatment, a pipe of two separate herbs to ease his cough. Randall snaps that Alex can’t possibly smoke the concoction, but Claire has another method, blowing the smoke through a paper cone for Alex to inhale. As Randall and Mary soothe him, the smoke begins to work and Alex’s breathing eases. 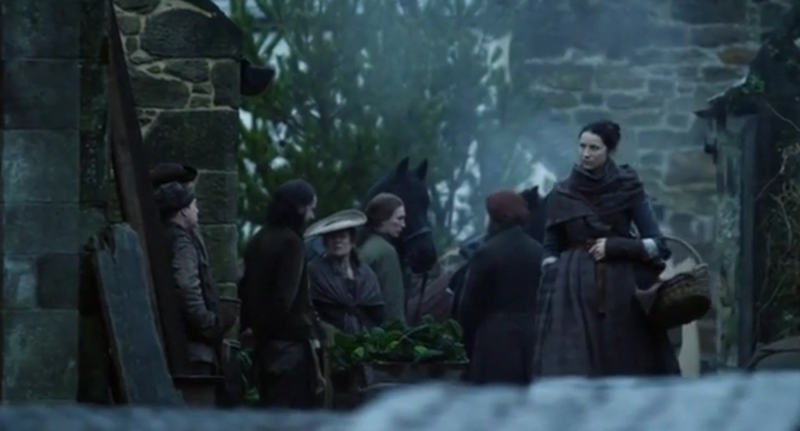 Murtagh watches from his position as security guard, as both Randall and Mary approach Claire. Alex is in pain, says Randall. Mary suggests more arsenic. Claire tells them both that arsenic will do no good. 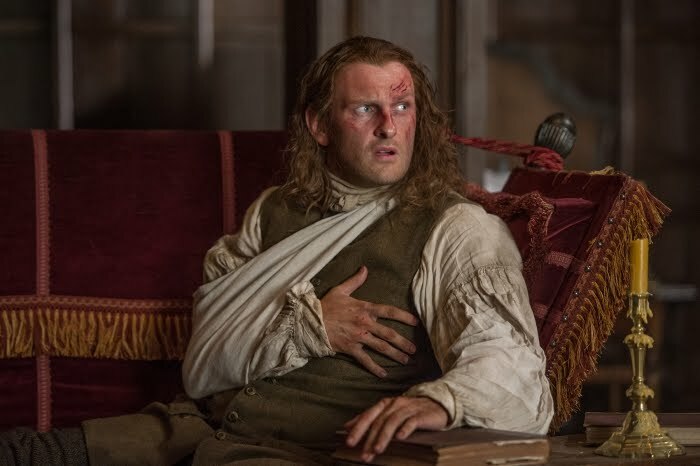 It is news that causes Randall to grab Claire by the arm. They had an agreement, he says. Claire says that she is treating Alex, but that she can’t cure him. Murtagh in turn grabs Randall, offering to fight Randall himself if he needs to ease his frustration. Claire tells them both to stop it. The noise attracts the attention of Alex, who calls for his brother. It is then that Alex asks Randall to do something for both himself and Mary. Randall assures Alex that he will not let Mary or the child want for anything, but he is not expecting what follows. Alex says that he has sent for the minister, not for the last rites, but so that Randall and Mary can be married. 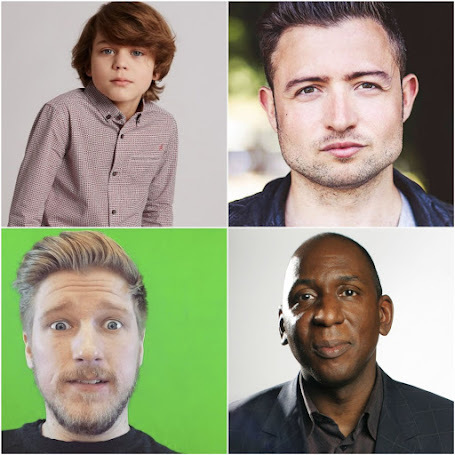 Jack argues that the child will have the Randall name if Alex marries Mary and that he will see that the child is taken care of. But Alex is adamant. With Jack as her husband, Mary will have some position in the world, more than he ever could. It is ironic that this is a similar argument to the one that Claire made in Paris. She had thought that encouraging the end of the relationship was the only way of ensuring Frank’s future family tree, when in reality, it has happened by Alex’s own hand. He is entrusting those most precious to him, he says, to the one that he has loved the longest. 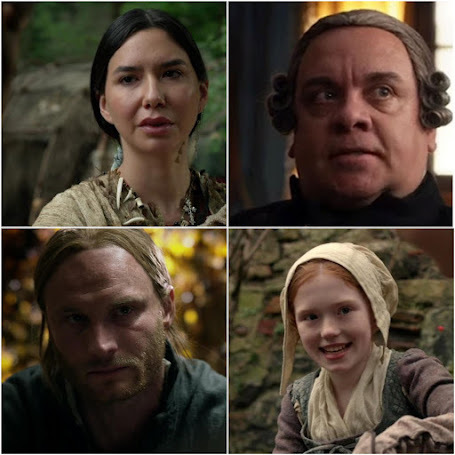 The looks on everyone’s faces show the full gamut of emotions: Claire at last understands the family tree; Alex is filled with hope, Mary with despair and Jack with anger. It is at this point that Alex plays his trump card. He asks Jack if his elder brother thinks he is unaware of the density of the dark wall he has built to protect his better self from the world. He alone has borne witness to Randall’s tenderness and the generosity of his soul. It is to this inner man that Alex is entrusting the care of his love and his child. But true to form, Jack refuses this entreaty. He stalks from the room, Claire in pursuit until she is stopped by Murtagh. 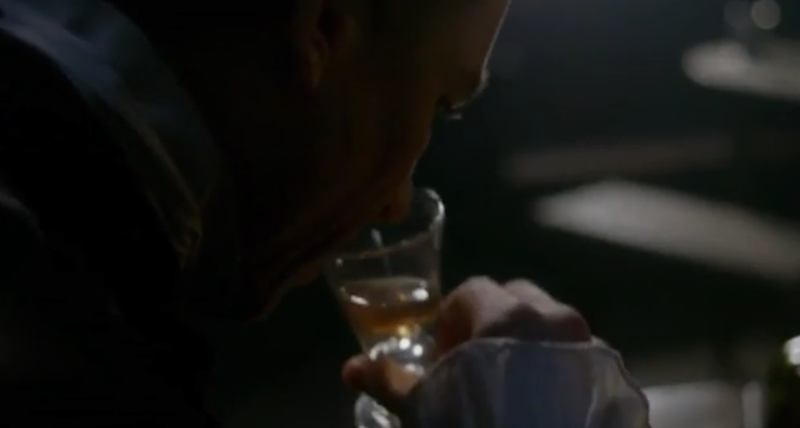 The refusal has brought on a fresh round of coughing and Claire sends Murtagh after Randall, turning back to Alex to treat him again with the herbal smoke. 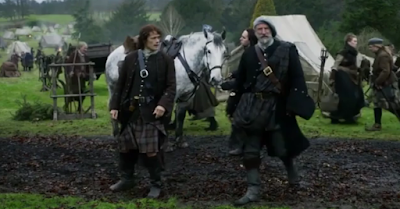 Dougal arrives back at camp, to tell Jamie what Randall has already announced: the British army are encamped at Nairn. 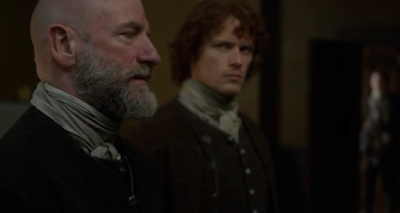 Jamie speaks to his uncle of the supposed birthday party, but Dougal is suspicious. He saw no evidence of this and asks where Jamie has received the information. Jamie tells him, adding that he has sent scouts to investigate and that wines and sweetmeats have indeed been purchased. The talk of food leads Dougal to comment on his own need for a meal, turning up his nose at the paltry stew on offer. Jamie remarks that there is little sustenance to be found in the camp, but that Dougal will need to wait in any case, as Colum has arrived. Claire immediately leaps to Frank’s defence, saying that he is neither of those things. 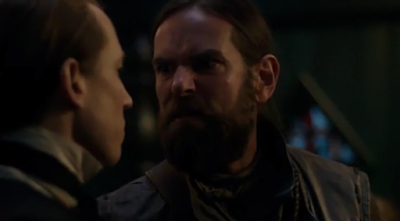 But Murtagh is still angry. How can she hand over an innocent lamb to a black wolf? Claire agrees that it seems that she has made a deal with the devil, but that Mary needs a husband, or she will be starving on the streets. 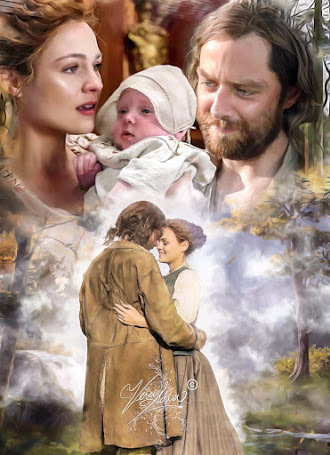 In response, Murtagh offers himself as a husband, adding that while he had never thought of Mary in that way, and he is sure Mary would not look twice at him, they could nevertheless learn to get along. 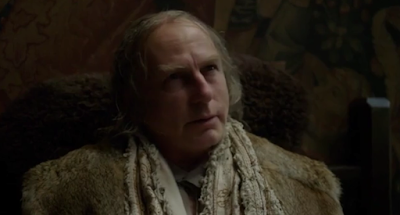 While not a father, he adds, he has been godfather to Jamie, who has turned out all right. 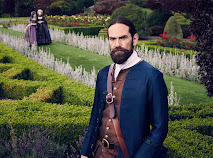 It is a beautiful offer, and Duncan Lacroix’s delivery ensures that fans everywhere love Murtagh just that little bit more. Claire is similarly touched, but adds that the realities of war are that no-one’s survival is guaranteed. 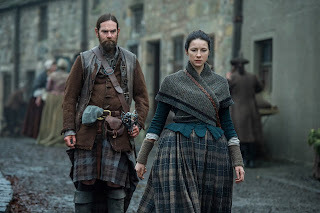 If Murtagh dies they would be in the same position, whereas if Mary is Randall’s widow, she would be entitled to both his property and his pension, meaning that her elevated station would probably see her welcomed back into the family home. Grudgingly, Murtagh agrees. The two have arrived outside the inn where Randall is. Leaving Murtagh outside, Claire goes in alone. Black Jack is very drunk. What kind of God, he asks Claire, creates a world where monsters thrive, while beauty and purity is rewarded with poverty and death? The same God, answers Claire, who offers an opportunity for redemption. But Randall asks for her help in convincing Alex to marry Mary himself and reiterates that he will see that the child is taken care of. But Claire is direct. What happens, she says, when Jack is not alive to make good on that promise? Talk then turns to the curse that Claire had given to Randall at Wentworth - the date of his death. Although known to book viewers, this is the first time that tv viewers learn it- 16th April, 1746. Claire tells Randall that as his sister-in-law Mary is entitled to nothing, but Randall interrupts her. What if her curse doesn’t come to pass, he asks. What if the world continues as it always has, with the pure of heart choking to death on their own blood, helped there perhaps by the monsters who walk among them? 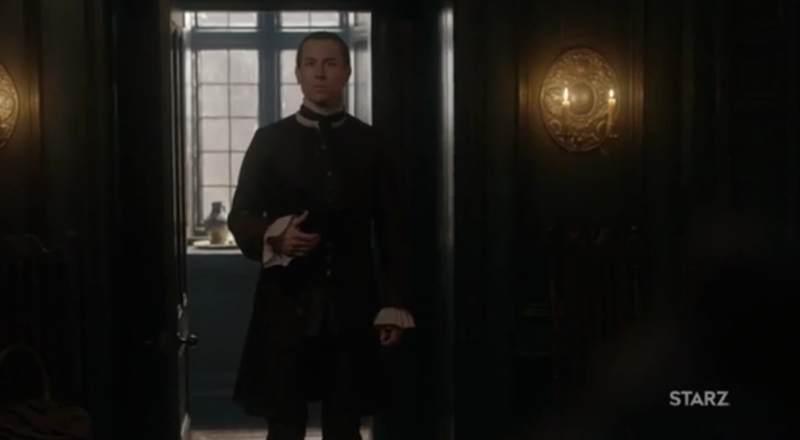 Claire asks if Randall has ever harmed his brother and the answer is swift: No. Claire muses that perhaps that immunity might extend to those that his brother holds dear. Randall asks if that is good enough for her and Claire replies that sometimes it is all people get. But, as he always has done, Randall is finally able to break Claire’s composure just as it seems she has the upper hand. Randall asks Claire if she knew what he had done to Jamie at Wentworth, adding that far from regretting the pain and fear, he revels in it. The lighting of this scene is brilliant, with Black Jack appearing as a menacing snake, who hisses, “Do you really want Mary in my bed?” And as she has always done, Claire is able to claw back her upper hand. If he refuses, she says, he is sending his brother to his grave with a broken heart. If he truly loves his brother, she can only trust that this will be enough for him to stay his impulses with Mary. 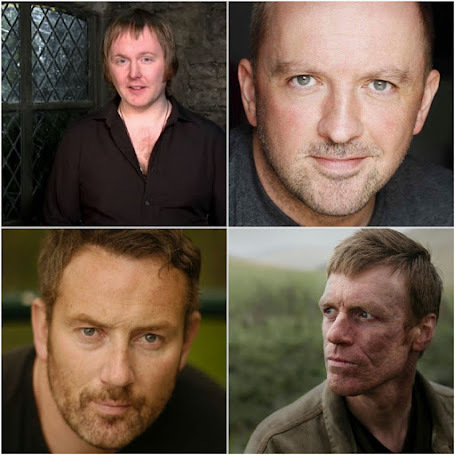 At the camp, Dougal and Colum greet each other, Dougal saying that it grieves him to see his brother so unwell, but that he is also joyous at Colum’s obvious change of heart, joining the Leoch men with the rebellion. But Colum wastes no time in correcting him that this is not the reason for his arrival. He tells Jamie and Dougal that there are clan matters which must be settled while he can still draw breath. Colum continues, saying that he has declared his wish for his son, Hamish, to be the next chief of Clan Mackenzie. Dougal comments on Hamish’s youth, asking who will teach the young boy what it means to be a chief. 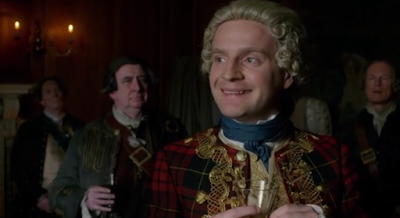 Colum replies that Ned Gowan will instruct Hamish in clan law, while he has chosen a guardian whom he thinks the clan will follow, until Hamish comes of age. It is someone who will guide Hamish to manhood, so that he learns how to choose what is best for the future and demonstrate what it means to be a chief. Colum then looks at Jamie, offering him the responsibility. It is an announcement that shocks both Jamie and Dougal alike. Dougal’s temper is quick to rise. 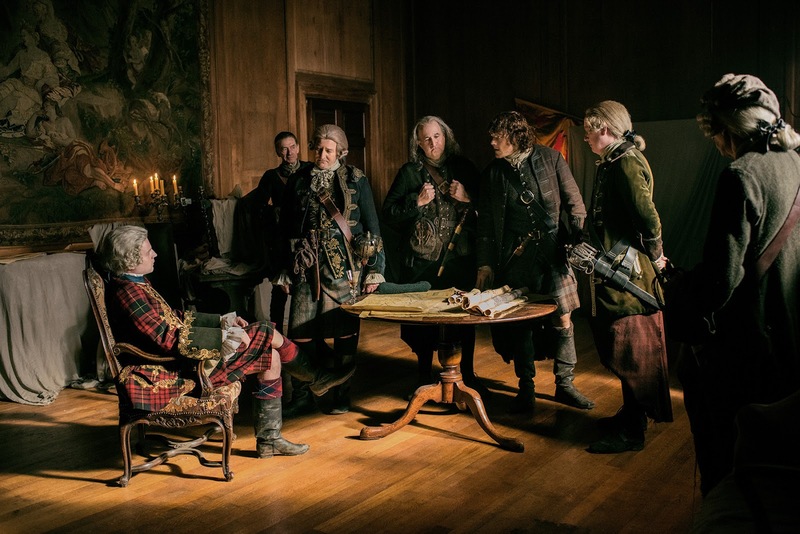 Why has Colum chosen a Fraser to lead the clan over his own brother and Hamish’s true father? Jamie is their sister’s son, Colum reminds Dougal, adding that he doubts the clan would choose Dougal as chief anyway and that if Dougal was half as popular as he believed himself to be, there would be more men in the Jacobite army. Dougal bites back, saying that Colum’s decision is his final punishment for Dougal fathering the son that he never could. But Colum will not be drawn into picking over old wounds. It is the future of the clan which concerns him, he says. 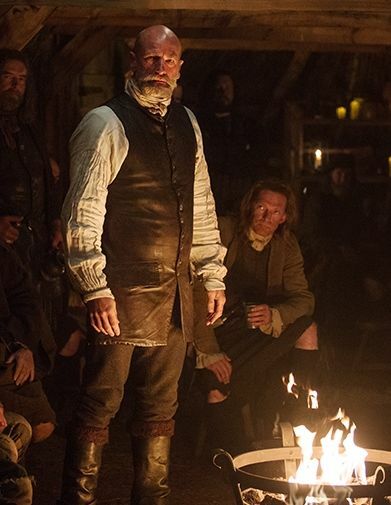 Dougal says that Jamie will not do anything different to him, stating that Jamie will also rally the Mackenzie men to fight. 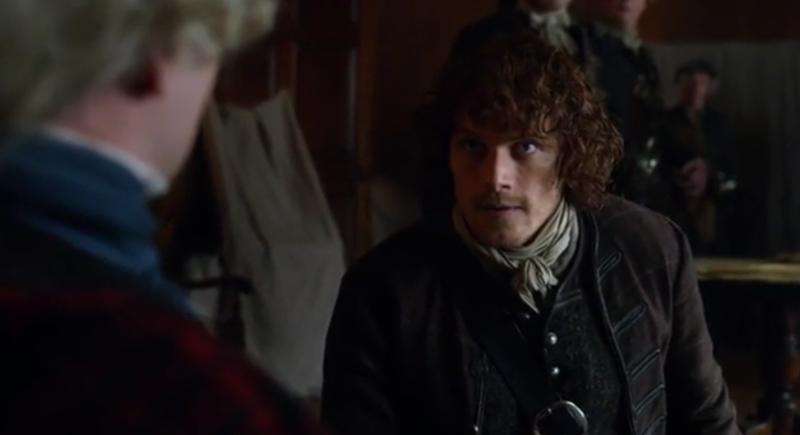 Jamie speaks at this point, saying that while he is honoured to be entrusted with the care of Colum’s son (and the gentle dig at Dougal’s paternity is clearly noted) Dougal is right: Jamie will use every option in his power to defeat the British, including raising the Mackenzie banner. 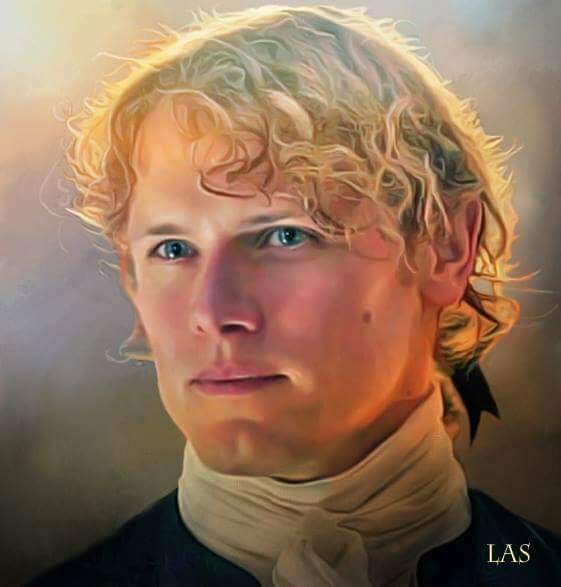 But Colum says that while he doesn’t doubt Jamie’s fighting spirit, he also knows that Jamie would not sacrifice his men needlessly if the cause is lost. Jamie agrees with this assessment, with the slightest of nods and Colum turns once again to Dougal. If Dougal can say that he would do the same, saying the words and meaning them with his head and heart, then he can have the guardianship. The silence is deafening. Dougal can make no such promise and leaves the room. “My poor brother,” remarks Colum. “I have lived my life crippled in body and he has lived his crippled in mind.” The similarities between the Mackenzie brothers and the Randall brothers have never been more clear. At McGilvrey’s boarding house, a joyless wedding is taking place. As Alex looks on, Randall hisses and Mary sobs the vows. 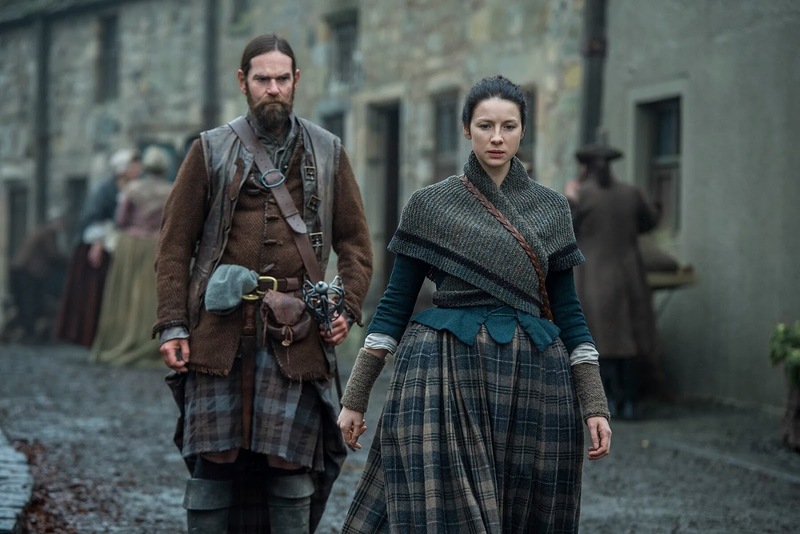 Claire and Murtagh act as witnesses to the bizarre union. At the camp, Jamie and Murray are proposing interrupting a different celebration, by attacking the British at Cumberland’s birthday party. Each leading a column of men on a 12 mile march, Jamie tells the Prince that they will trap the British between them. This is Jamie’s hail mary - the very last chance to stop the battle of Culloden and alter history. Everything hangs on the Prince’s decision. 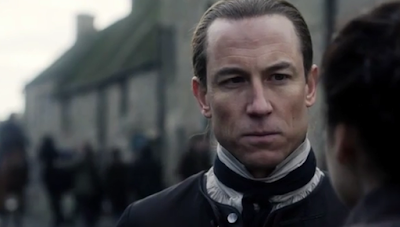 But just as he needs Charles to treat Jamie as the noble and trusted friend he has always been, Charles looks instead to the quartermaster, who reluctantly agrees that the plan has merit. Revelling in his restoration as the one with the prince’s ear, O’Sullivan agrees to the attack, but with one change - Jamie and Murray will lead one column, the Prince and O’Sullivan the other. Although he doesn’t think it wise, Jamie has no choice but to accept. With a grin that can only be described as unhinged, Charles stands and adds that he will bring his finest bottle of wine as a gift to Cumberland, to be presented once Cumberland is his prisoner. The other men chuckle, as Jamie takes his leave. 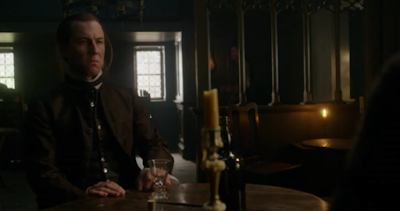 A drunken Dougal comes once more to a further weakened Colum, saying that he has brought his brother a wee drink. Colum asks to be left in peace, but Dougal is not leaving. He has drunk enough to muddle a stallion, but he remains sober. In gestures belying this statement, he tips the dregs of the bottle on the floor and says it is just as well, as he wouldn’t want Colum to think he would do anything to hasten his exit from the world. 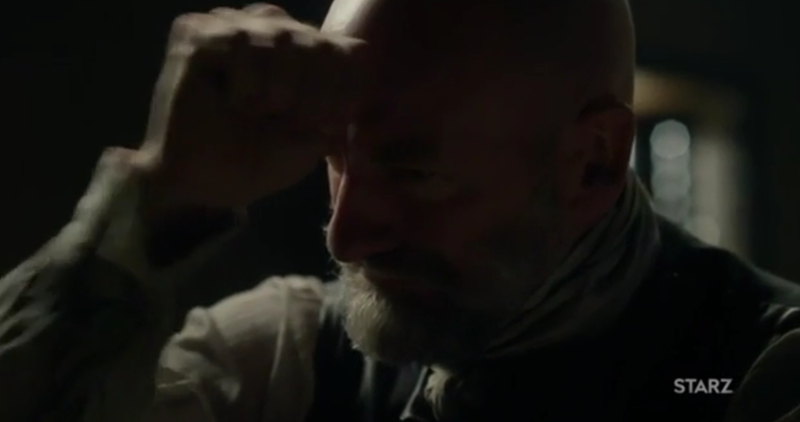 Colum’s response is telling to the viewer, given the earlier scene we have witnessed with Claire, when he says that he is beyond any injury that Dougal could do to him. This hurts Dougal. Bitterly, he begins a monologue that goes back to their childhood, remembering the day when Colum had been thrown from the horse. Dougal had been sure that his brother would recover, but as the time passed, he had watched Colum’s limbs twist further and his body shrink. He hated his brother, Dougal admits, but had also wept for him, more than he had ever wept before or since. The world was never the same, Dougal says, because Colum had destroyed it. Still, Colum hasn’t spoken and Dougal turns to force some sort of response from his older brother, repeating “Answer me”, until he realises that he will never get a response again. 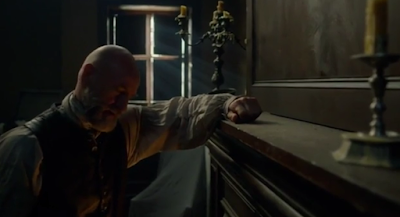 What follows is a beautifully poignant griefstricken piece of acting from Graham McTavish. 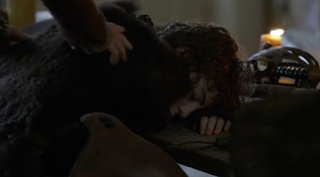 Putting his head on Colum’s chest, Dougal weeps, saying that Colum has turned his back one final time, leaving Dougal alone in the darkness of the world. He puts his fist to his forehead, lamenting the fact that all he had wished to say would now remain trapped inside him forever, unsaid. Holding his brother’s hand, he says his final goodbye, “all because you couldn’t keep your arse on a bloody horse.” It is heartbreaking stuff and we are left to wonder what might have been, if only the Mackenzie brothers had been as open with their affection as they were with their anger. 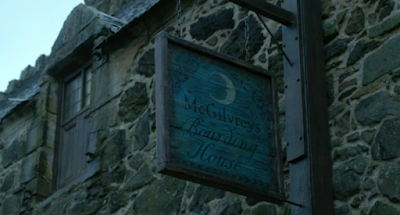 It is a totally different farewell at the McGilvrey boarding house. The unhappy newlyweds are standing around the bed as Alex’s death rattle grows louder and louder. Finally, his breathing stops. Mary tearfully looks to Randall, who indeed begins to break down himself. But just as we begin to think we might see a glimpse of the humanity that Alex had always insisted lived inside his brother, Randall begins punching Alex’s lifeless body. It is a shocking display, all the more so because of this scene’s ferocity when compared to the tenderness of the one which preceded it. With a sobbing Mary in her arms, Claire eyes Jack with horror. Without a word, he smooths his hair back into place, gives her a long look and leaves. He is indeed, by his own admission, one of the world’s monsters. 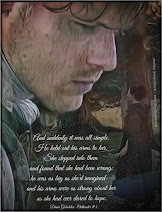 Again, Claire updates Jamie as to what has occurred. 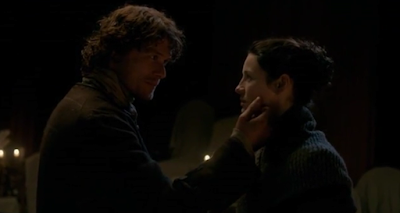 Jamie says that he can’t believe that Claire encouraged Mary to be Randall’s wife. But Claire corrects him. She encouraged Mary to become his widow, knowing that Randall will die at the battle of Culloden the following day. But, says Jamie, if his plan works and they succeed that night, there will be no battle. 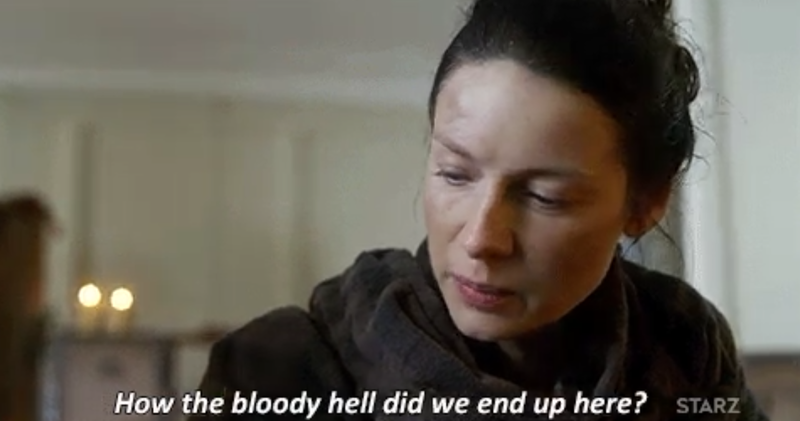 In that case, says Claire, she will keep the promise she made to Jamie in Paris and help him bleed Randall himself. 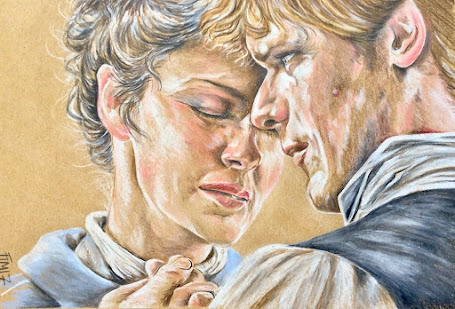 It is an idea that leads to the one lighthearted moment of the whole episode, as Jamie strokes his wife’s face, saying “Remind me not to get on your bad side, Sassenach.” Claire implores Jamie to be careful and after a lingering kiss, he departs. But while Jamie and Murray lead their men to the designated spot, there is no sign of O’Sullivan and the Prince. The men are exhausted, says Murray, fearing that they put too much faith in starving men. But Jamie says he will take a starving Highlander over a drunken British soldier any day and suggests that they attack on their own. But Murtagh rides up with bad news. The Prince and O’Sullivan’s men have turned back, he says, after losing their way in the dark. Still Jamie is insistent upon attack, but Murray has lost his nerve. With only a portion of the men, he says, it would be madness and they would lose the element of surprise. He has no choice but to call off the attack. 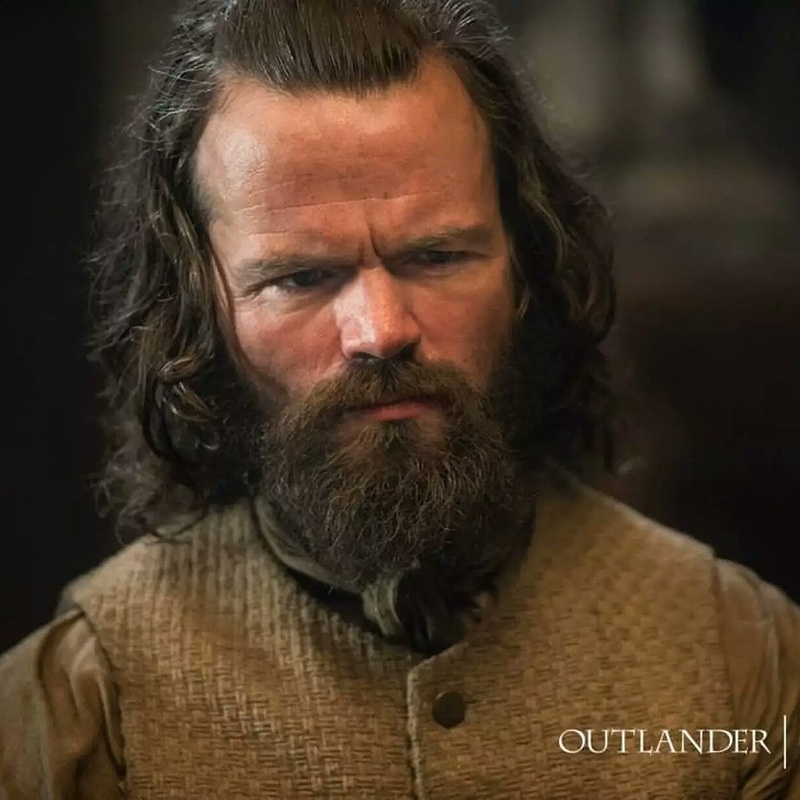 As Murray and the men head back to Inverness, Murtagh and Jamie look at each other in resigned desperation. 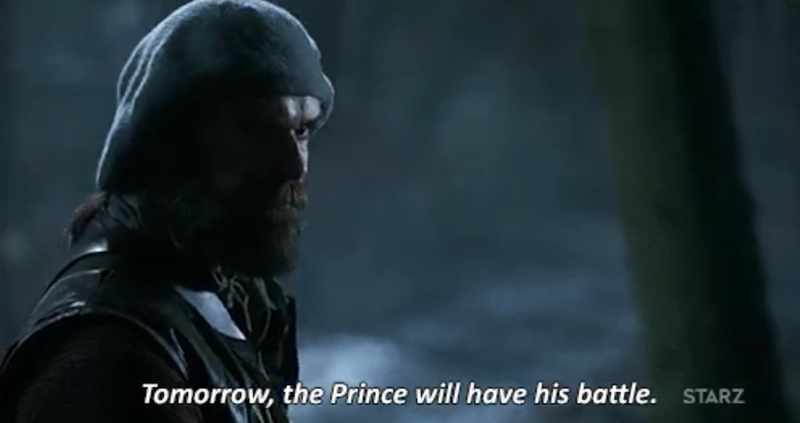 “Tomorrow,” says Murtagh, “the Prince will have his battle on Culloden Moor.” The music rises ominously as the episode ends with a close up of Jamie’s face. The Hail Mary has failed. History is upon them. Living up to its title, this was an episode of last chances for many of the characters. It was a last chance for brothers to make their peace; a last chance for lovers to steal a bit of happiness in the midst of illness and death; a last chance for men to redeem their souls and a last chance to stop the fates. All have failed, despite the best efforts of many good people. With the battle that Jamie and Claire tried so hard to prevent merely hours away, viewers would be forgiven for uttering a quick prayer themselves, to protect them from the emotional tidal wave that is bound to hit with the final episode of the series. This recap was written by Susie Brown, a teacher-librarian and writer who lives in Australia. 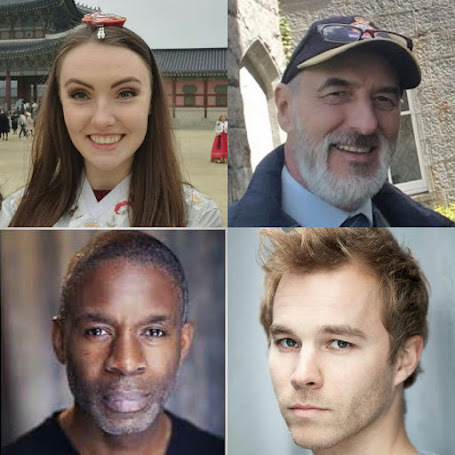 Unlike Alex Randall, she never believed that Jack Randall had an ounce of good in him, but wasn’t expecting him to prove it in such a hideous fashion! The Hollywood Reporter speaks to the Cast of Outlander about episode 12! 'Outlander' Team Talks Black Jack's "Chilling" Moment of Rage, Mary's Loss and Claire's Redemption. 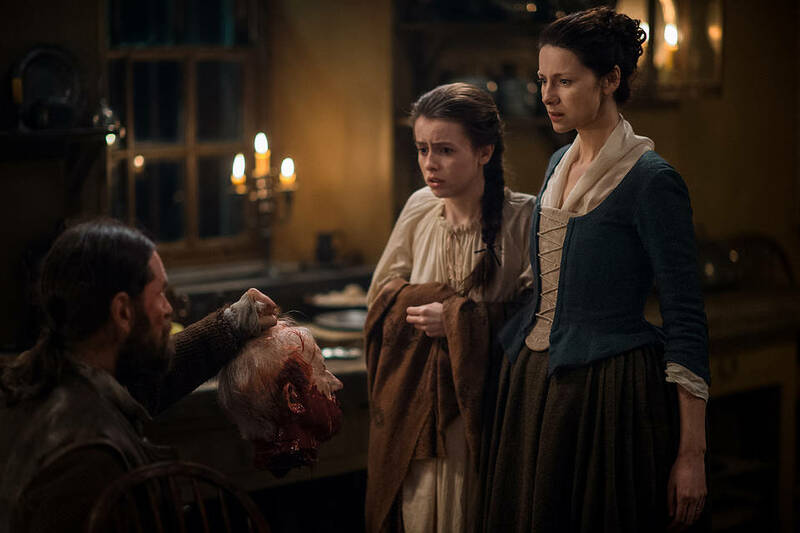 Executive producers Ron Moore and Maril Davis, plus stars Caitriona Balfe and Tobias Menzies, dive deep into Saturday's game-changing episode, "The Hail Mary." History is playing out exactly how Claire (Caitriona Balfe) and Jamie (Sam Hueghan) feared on Outlander. Despite all their actions in Paris in the first half of the season, they failed to stop the Battle of Culloden from happening in advance. 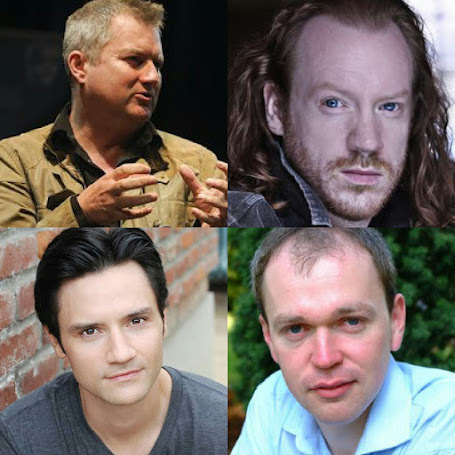 And thanks to Prince Charlie's (Andrew Gower) troops getting lost in the dark, Jamie's plans to lead a nighttime surprise attack on the British army the night before the Battle of Culloden were squashed. So now Jamie and Claire know the Highlander army has a very low chance at actually winning the war, but they're forced to fight it anyway. 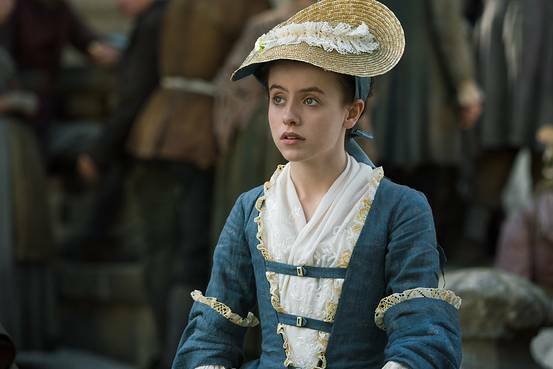 And another surprising historic event came to pass: young Mary Hawkins (Rosie Day) married Black Jack Randall (Tobias Menzies). Claire knew her young friend would end up married to her worst enemy because of her husband, Frank's (also Menzies), family tree, but she had no idea how to make that happen since Mary was in love with Black Jack's brother Alex (Laurence Dobiesz). But when Claire ran into Mary in Inverness, she learned Mary was pregnant with Alex's child, and Alex was dying from his medical issues he'd been plagued with back in Paris. Alex's dying request was for Black Jack to marry Mary and take care of her and their child, insuring both of their futures. Shortly before Alex died, Claire witnessed Mary and Black Jack's rushed nuptials, and after Alex passed on, Black Jack completely lost it. He jumped on Alex's body and shook his dead brother, until he calmly got up and walked out of the room while Mary and Claire watched in horror. "We had a lot of discussion about what we wanted to do with Jack and Jack's relationship to his brother," showrunner Ron Moore tells The Hollywood Reporter. "I thought there was something interesting about showing that, for all of his monstrosity and all of Jack's horror, he really did care about and love his brother. Even though he had trouble expressing it, even when he's grabbing his body at the end, which was a very violent and angry reaction, it still comes from this place of humanity in Jack." According to Moore, that redemptive, loving quality in Black Jack was important to show in those scenes between the brothers. "That's the thing that appealed to me the most," Moore says. 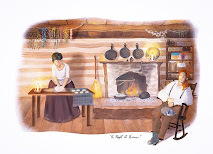 "This idea that if Claire was going to help this marriage happen, if she was going to hand over Mary Hawkins to Jack and honor the wishes of Alex and participate in this whole scenario, you had to see some glimmer of humanity in Jack, just to make it play. So that was our primary focus." 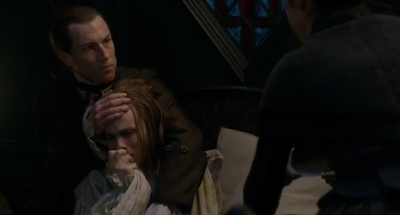 When it came to filming those scenes, Moore says that he gave Menzies free reign in how to portray Black Jack's moment of rage after losing his brother. "He knows the character so well that we just talked for a few minutes about it, really," Moore says. "We just talked about the intention of the scene and then he liked the script and just went for it. He brought all that inner turmoil and angst to the scene when he just throws himself at the body. That was all him." Even before filming commenced for season two, Menzies couldn't wait to finally get to film the Randall brothers together. "It's interesting to finally see this brother relationship between Alex and Black Jack, because we've only ever heard about it," Menzies says. "And it adds this new layer to Black Jack, this level of humanity we didn't know existed in this man. We only really get to see it in one episode, but I always thought that Alex was the one good thing in Black Jack's life. He brought out the good in his older brother, and so for Black Jack to lose that, it turns his world upside down. And then to add in the Mary Hawkins factor, it's just too much for him to take in one moment, so he completely loses it. 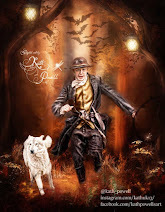 I loved filming that whole storyline because it allowed me to explore another side to Black Jack." While Claire didn't learn the truth about Frank's ancestry until Alex was dying, Balfe found out about that twist when she read Dragonfly in Amber while prepping to film season two. "I knew that was coming in the script. But that whole part of the storyline and those scenes are so rich," Balfe says. 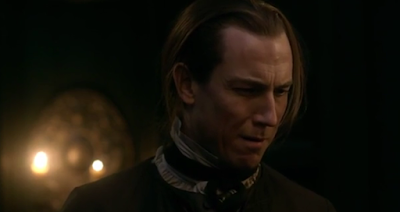 "It's such a difficult thing for Claire to even be in the same room as Black Jack. To have to, in some ways, make an alliance with him was such a difficult thing for her. But at this time, she's so desperate so the fact that perhaps she can gain some military knowledge that could help the Highlanders, that's the benefit for her." It was also a big moment for Claire when she got to help secure Mary's future despite failing to prevent the father of her child from dying. 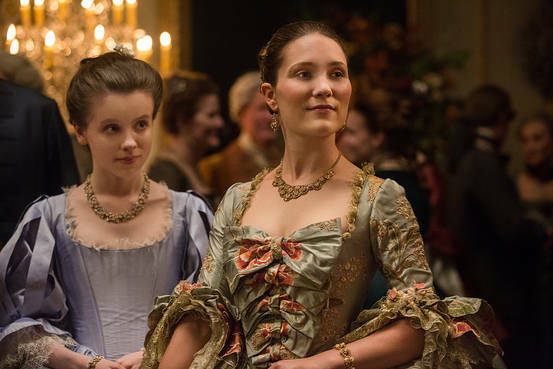 "She has a great love for Mary Hawkins and cares deeply about her," Balfe says. "She feels a lot of guilt for trying to split her and Alex up. Her being there and trying to help them and realizing the actual truth of it all, it's a big moment for her, redemptive and otherwise. Those scenes are great. Tobias did such an amazing job, and Rosie did such an amazing job, and Laurence was great. And when Alex dies and Black Jack starts wailing on him, oh my God, it was some crazy stuff." While filming, both Balfe and Day had no idea that Menzies was going to play that violent moment to such a high level. "It was really intense," Balfe says. "There was a question about whether or not Tobias would do that or if he would just leave or what his reaction would be, and he had a lot of conversations with the director about it. Rosie and I were just standing and waiting to see what would come out of it and when he did what he did, it was just chilling. 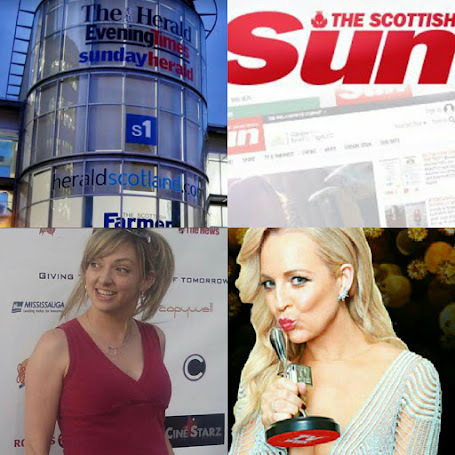 In many ways, for Claire, she's just stuck to the spot. She doesn't even know how to react. Her first instinct is to protect Mary but she doesn't know if he's going to go after them next. But the fact that he just straightens his jacket and walks out, it's so chilling. It was so amazing to watch Tobias film that. It turned out so well." Colum MacKenzie journeyed to see the Frasers for help with a grave situation in Saturday night's "Outlander." While the Jacobite army was on a break from battle and plotting its next move, Colum MacKenzie traveled to see Jamie and Claire Fraser to ask them for help. 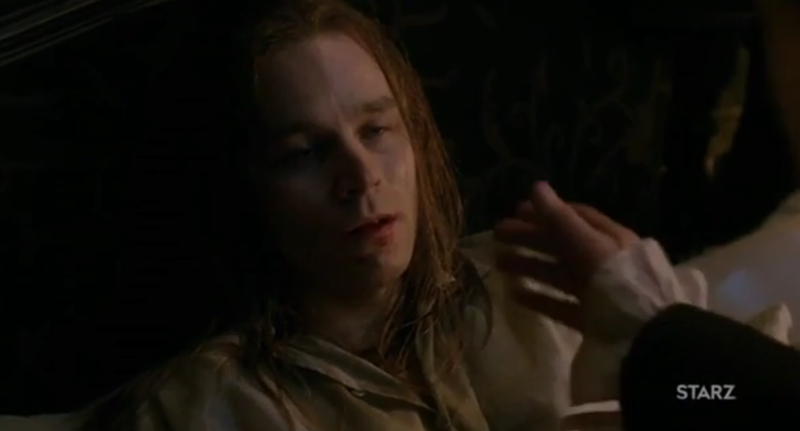 Knowing he was dying, Colum asked healer Claire for some medicine to stop his suffering and let him pass on in peace. Colum asked his nephew, Jamie, for something else. In front of his own brother, Dougal, Colum asked Jamie Fraser to become the guardian of wee Hamish, the son he named as his successor. The request angered Dougal (Hamish's real father) and resulted in a charged exchange between the two men in the episode. Gary spoke with Access Hollywood about the big moments from "The Hail Mary" episode, including that scene, why Colum approached Jamie and Claire for help and his character's final exchange with Dougal. AccessHollywood.com: When did you find out your [character's] death was going to be different than it is in Diana [Gabaldon's] books? Gary Lewis: When I saw the script. I had no idea up until I saw the scripts. I knew how it was in the books, but I was not unpleasantly surprised with how it is in the show. 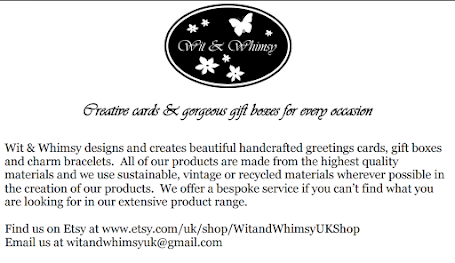 I think it's very sensitive and yeah, I like how's it's done. 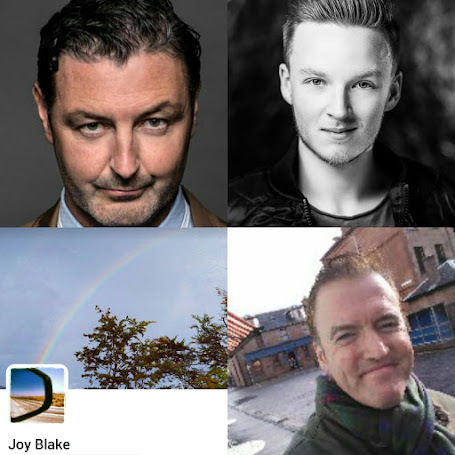 Access: Colum had to go to Jamie and Claire for help in wrapping up his life, so to speak. Was that something you thought would have been difficult for him to do – to ask the two of them for help? 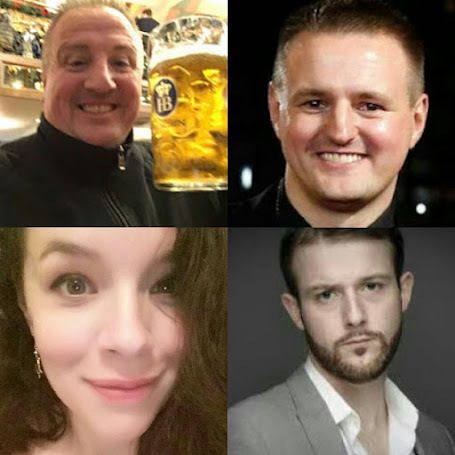 Gary: No, I'll tell you why -- I think in Colum's view, both as individuals, and as a couple, I think Colum recognizes that Jamie and Claire are hugely significant for the future of his clan. 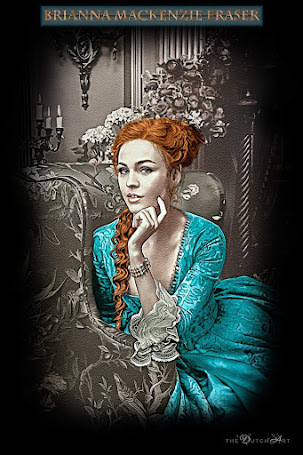 Jamie, obviously because of his potential to be the heir and Claire -- I think Colum has recognized from way back… that she has some part to play. I think he recognizes there's a difference. Obviously, he can't put his finger on it. She's useful because of her skills in medicine and the herbal remedies and she helps him way back with the massage. So he recognizes her worth, but I think he also recognizes that she is significant for the MacKenzies. That, of course, ups when they get married, much to his disapproval, initially (laughs). But then, he is, of course, aware of the significance and the importance of those two as a couple, because Jamie – he knows way back that Jamie is the person who's going to lead the MacKenzies. … I'll tell you from my point of view -- this goes way back to 'The Gathering' when Jamie straddles that very difficult position where he doesn't pledge a complete and absolute oath of allegiance to Colum, but he doesn't get himself killed by [Dougal], by refusing to, and he makes that very wonderful and diplomatic, but heartfelt and intelligent pledge to Colum -- way back then, whether he knew it or not, he just made a successful application for the job. That's how I see it. He showed his mettle, he showed his potential, his maturing wisdom and then later, Colum actually takes counsel from him. So it's a developing thing. It's not that unusual from Colum's perspective to go to Jamie and Claire to take care of business. Access: Let's talk about the scene with Caitriona [Balfe] where [Colum has] to ask her [character, Claire,] basically for a death potion. It's super serious, it's super emotional. Did they keep it kind of limited on set that day, there weren't many extra [people] around? I'm curious if they cleared the galleys, so to speak, for you guys. 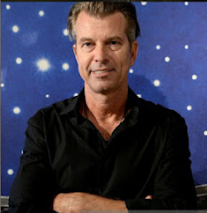 Gary: Not especially so, but the crew are fantastic and there was an acknowledgement of the nature of the scene. You don't really know how it's going to be until you're in there and you start dancing with the other actors, you start exploring the space between you. And of course Cait is so wonderful, so once we started going to work, the somberness of the scene and the gravity of it became apparent. And, because it's the amazing 'Outlander' crew, yeah, they were respectful of that. So yeah, things just go quiet with a nature of understanding and this is what's happening. He's basically saying, 'Hey, I need to leave the planet now. I can't take any more and... you're gonna help me get to the door.' … And even the lighting and everything – everything's subdued, and basically, he's saying goodbye. That's when he's saying goodbye to Claire and he's emotional about that. He still has to take care of business, but this is goodbye to somebody he knows will play significant part in the future of his nephew. Access: Dougal doesn't take the news well that Colum wants Jamie to be Hamish's guardian. Why you think Colum can deliver basically kind of devastating news to Dougal and know full well that Dougal isn't going to [go crazy] on his brother? Gary: Everything rests on loyalty. … It would be suicide, it would be the end if he couldn't handle that. Colum knows that he's head strong and incapable of acting rationally and the stakes are very, very high. Yeah, he could just explode. But, of course, Jamie's there as well, so there's a degree of trust in the situation that his brother has sworn his loyalty. You can't kill the Laird (laughs). Well, you could, but that would be the end for Dougal as well. You see the thing is, what's really beautiful about the structure and the writing in this scene is that not only does Colum say that things are going in a different direction – that it's going to be Jamie, and Ned [Gowan] is going to look after the boy and he'll be counseled and Jamie and Ned will play these roles, but he also confronts Dougal with his complete – he says to him quite clear, 'You're not as popular as you think you are.' He just confronts him with the reality and then he confronts him with the possibility of the failure of the cause and he confronts Dougal with his inability to take on board that this cause is on its back. They're not going to be successful, but [Dougal] can't see beyond that. So it's his pride, it's all the things which have crippled -- Colum being physically crippled -- but all the things, which have mentally and emotionally crippled Dougal are laid bare. … He puts it right out there. Gary: That's end game. Yeah, that's the end game when I say, 'Okay, you say it, you mean it, and that's it.' After that, it's not even checkmate and he falls, it's like he has to leave. He actually has to physically leave the room because that's the end and what a beautiful line, 'You say those words, and that's it, you got the position. Just say them, but mean them. Mean them. Don't just make a noise with your mouth. Mean it,' knowing full well that he can't. He cannot make that connection. There's no honesty there. Sure, he can holler and wave a sword and be proud, but he could not possibly say even something as clear as that -- 'you put the lives of your men before this cause.' It's a great line! 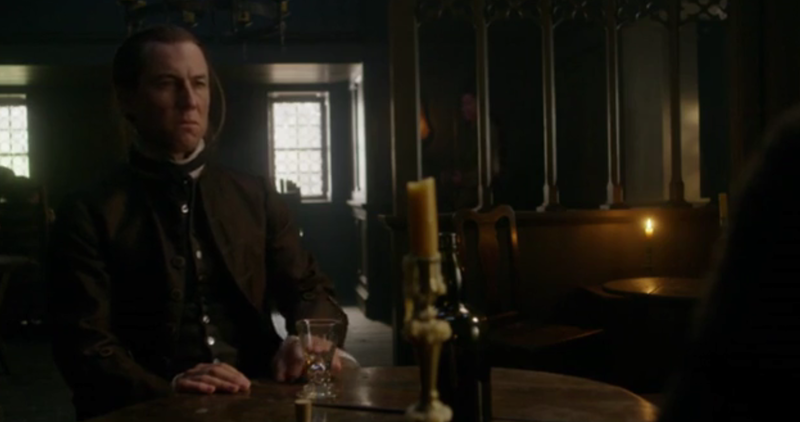 Access: [How did you feel about how] Colum basically gets the last word with Dougal. Obviously Graham [McTavish] got to deliver probably one if his most emotional speeches of the season, performances, and Colum is not there to hear it, because he's already taken the yellow jasmine. 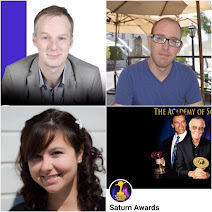 Access: What are you going to miss most about being a part of this? Gary: I'll tell you, Jolie, it didn't hit me because I was concentrating on the work, so I didn't really put any investment into thinking about, 'Oh my God, I'm not going to be here soon.' (laughs) I never thought about it that way and then it was like, the first assistant director says, 'That's a wrap for Gary Lewis,' and I still hadn't taken it in, you know? 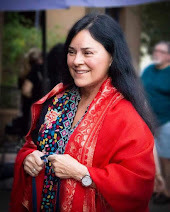 And Matt [Roberts, 'Outlander' co-executive producer] was there and he [came over and] gave me a big hug, and Maril's [Davis, 'Outlander' executive producer] there and gave me a big hug, but I'm still thinking I'm going to see these guys tomorrow (laughs). … So, it's really strange. This has happened to me before. I don't really think about it like that and then you're in the car. You know when you're talking to the driver and you're like, 'Jesus, am I--?' (laughs) Then it hit me. 'Oh, wow.' … But I never let it hit me on set because there's too much to do and those scenes are so important. I was still at work. Access: This project really got to reunite you with a lot of the actors you've worked with over the years. Gary: Oh yeah, and with Sam [Heughan] of course. I'd worked with Sam previously in the Battle of Britain drama and yeah, there [were] lots. It was fantastic in that respect. It was terrific. And lots of the crew of course, and then there was the added bonus of meeting a whole new [group] of incredible people, like Diana herself and oh God, the minute I was in the costume department [with Terry Dresbach]… it was just like something else. Beautiful genius at work… and I had a great time, great time just going through the costumes with her… and Matt and Maril, and of course, Cait, who I'd never met before. There were lots of incredible people and incredible actors to meet and work with. It was a joy -- a real joy. "Outlander" continues with a marathon next weekend, before the Season 2 finale on July 9 at 9 PM ET/PT on Starz. 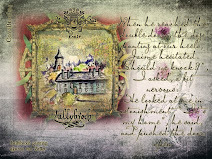 NBC Universal, Inc. All Rights Reserved.